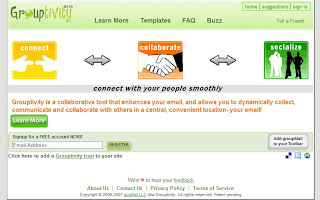 Grouptivity is an online collaboration tool that leverages email and combines discussion boards, surveys, and scheduling all in one. How can you do with it? * It’s easy and fun! * It’s all done in just ONE email!